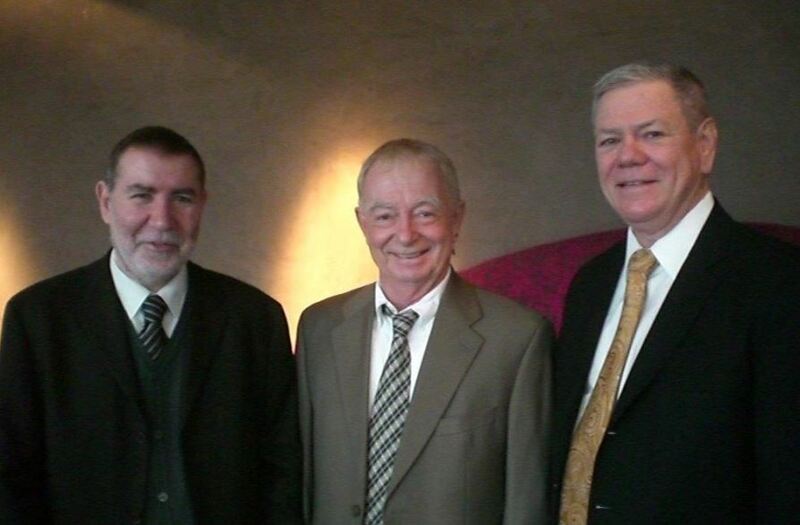 The connection between the three editors is through the University of North Carolina at Chapel Hill (US), where C.A. Knox Lovell was an academic from 1968 to 1994. Robin was interacting with Knox in the period 1973-1976, while studying for his PhD. They continued to work together after Sickles finished his graduate studies and, some years later, briefly were colleagues when Knox Lovell visited at the University of Pennsylvania (US) in the academic year 1983-84, where Robin was Assistant Professor. 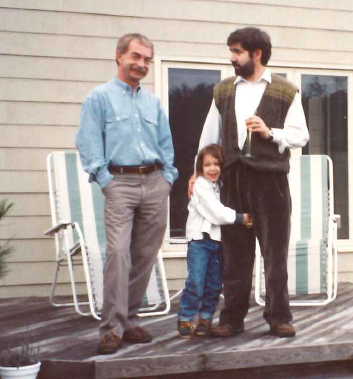 Emili started to collaborate with Knox during his stay as visiting scholar at the University of North Carolina at Chapel Hill in the academic year 1992-93. This collaboration has not stopped since then. From left to right C. A. Knox Lovell and Emili Grifell-Tatjé with his young daughter celebrating the Thanksgiving in the Knox’s house at Chapel Hill (US), year 1992. 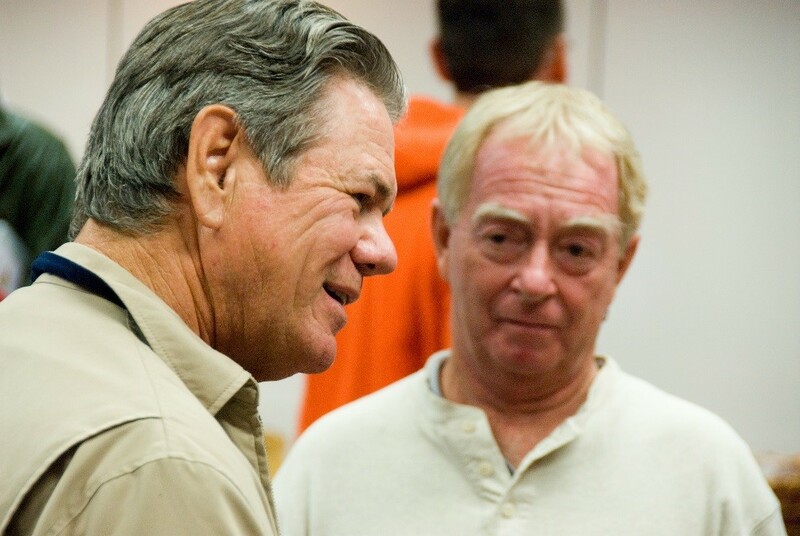 From left to right Robin C. Sickles and C.A. Knox Lovell in the EWEPA X. Lille (France). June 2007. The Editors of the Handbook live on three continents, with their offices being separated by nearly 40,000 kilometers and nearly 55 hours flying time, excluding layovers. The partially offsetting advantage of this tyranny of distance is the fact that at least one of the editors is always awake. The Handbook contributors are similarly geographically dispersed, representing a dozen countries. Contributors include some of the most distinguished productivity scholars in the world, and come from a wide range of disciplines within business and economics. 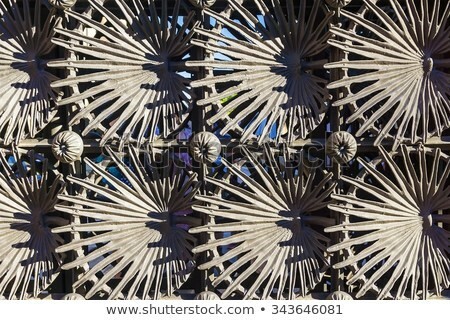 The first one is the photo of an iron door designed by the Catalan architect Antoni Gaudí (1952-1926). Knox and Emili had used a picture of the benches of the Park Güell (https://www.parkguell.cat/en) also from Gaudi in the cover of their book by Cambridge University Press (https://ddd.uab.cat/pub/expbib/2015/emiligrifell/index.html). We finally decided the picture number three. The cover expresses the ideas that productivity is a global phenomenon, and that it increases over the long run, albeit with an occasional downturn. The green color establishes our environmental credentials. Chapter 15 Productivity & size, product range, scope, diversification, etc. Chapter 20 Productivity & (international) market liberalization, structural reform, etc. We signed a contract with Oxford University Press in June 2014. Approximately four years later the Handbook finally exists. In the interim it has gone through changes of contents and authors, and expanded in size to well over 800 pages in length and 1.57 kilos (3lb 7,5oz) in weight. The Author Index contains approximately 1,500 names, which suggests the contributors have drawn on a wide range of sources in preparing their chapters. Some authors feature more prominently than others, of course, and to paraphrase Isaac Newton, “if we have seen further it is by standing on the shoulders of Giants.” Charles Howell from the Universitat Autònoma of Barcelona helped us to put all this references together and to create the Author Index and Subject Index. Thanks Charles! We expect the book to become influential, to be purchased by libraries around the world, and read and cited by scholars from within and beyond academe and from the broadly defined fields of economics and business. Productivity isn't everything, but in the long run it is almost everything. A country's ability to improve its standard of living over time depends almost entirely on its ability to raise its output per worker.” So wrote Paul Krugman, recipient of the 2008 Nobel Prize in Economic Sciences, in The Age of Diminished Expectations (1990; 1994; 1997). The fact that Krugman was far from the first to express such sentiments (see, e.g., Moses Abramowitz, William Baumol, Alfred Chandler, Solomon Fabricant, John Kendrick and Robert Solow among many others) attests to a widespread appreciation of the crucial role of productivity growth in enhancing the performance of businesses, industries, government agencies and national economies. In a nutshell, the chapters in the Handbook explore alternative definitions of productivity and its rate of change; the likely sources, or drivers, of productivity growth or contraction; and the contributions of productivity change to the financial well-being of businesses, the ability of public agencies to deliver services, the ability of industries to survive and prosper, and the social economic progress of regional and national economies. Part I consists of the Editors’ Introduction to the Handbook. Chapter 1 offers a broad overview of productivity analysis, providing an historical and institutional background to the many dimensions of productivity. It places particular emphasis on the significance of productivity growth for businesses and economies. It then examines the unfortunately common phenomenon of productivity dispersion, unfortunate because dispersion depresses aggregate productivity, and explores the dynamic competitive processes and public policies that might reduce dispersion. The chapter concludes with an extensive exploration into the drivers of, and impediments to, productivity growth. Drivers and impediments are divided into two groups. Organizational influences are internal to businesses, and include a wide range of management practices, such as human resource practices, adoption of new technology, and integration into global value chains. Institutional influences are external to businesses, and include the competitiveness of markets, a range of entry and exit barriers, and the role of regulations. 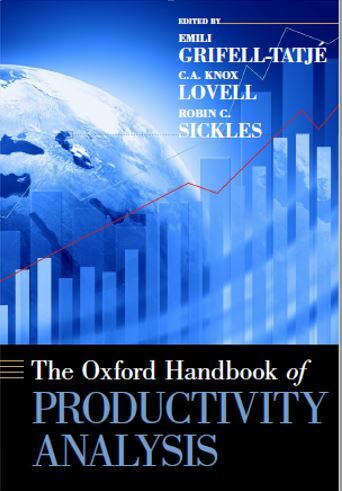 Part II contains seven chapters devoted to exploring the foundations of productivity analysis. In Chapter 2 Balk explores empirical productivity indexes and indicators, empirical because they use observed price information to weight individual quantity changes in the construction of productivity measures. In Chapter 3 Eldridge and colleagues detail how empirical productivity indexes are used at a large government statistical agency, the US Bureau of Labor Statistics. 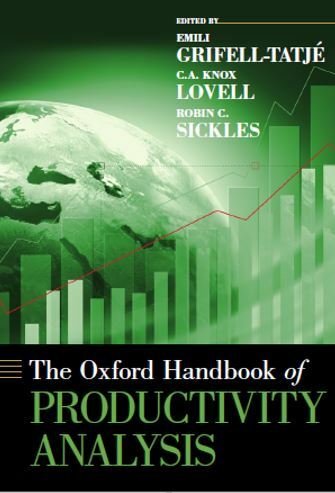 In Chapter 4 Russell explores theoretical productivity indexes, theoretical because they avoid observed price information, using instead features of the production technology that transforms inputs into outputs to weight individual quantity changes. Since the structure of production technology is unknown, it must be estimated using econometric or mathematical programming techniques. In Chapter 5 Färe and colleagues explore explicitly dynamic theoretical productivity models. These models allow inter-temporal reallocation of resources, so that production decisions in one period impact on production possibilities in subsequent periods. They also allow producers to decide when to begin, and end, resource usage so as to maximize discounted total output. Chapters 6 – 8 examine productivity measurement in specific circumstances that do not fit easily within conventional frameworks but which are commonly encountered. In Chapter 6 Zieschang explores productivity measurement in sectors in which output is hard to measure. Examples include high tech industries, real estate, financial services, health care and education. In some of these sectors (high tech industries) difficulty arises from distinguishing quality and quantity dimensions of output, and in others (health care and education) difficulty includes not just measurement but also definition of the outputs. In Chapter 7 Diewert expands on Zieschang by considering how productivity might be measured in the public sector, in which many outputs or services are non-marketed. Like Zieschang he considers health care and education, and also infrastructure, distribution and public transportation sectors. In Chapter 8 Førsund considers productivity measurement when producers produce both intended and unintended outputs, with an emphasis on the production of desirable outputs and undesirable byproducts. The use of fossil fuels to generate electricity, and with it air pollution, is a popular example. In agriculture, livestock production generates food and methane gas, and crops production generates food and pesticide and herbicide runoff. Førsund evaluates production models incorporating undesirable byproducts that do not, and do, satisfy the materials balance condition. He also examines the efficacy of emissions constraints, cap-and-trade programs and other public policies designed to control byproducts. Part III contains eight primarily microeconomic studies. In Chapter 9 Grifell-Tatjé and Lovell explore the relationships between productivity change and change in financial performance in businesses. They show how productivity change creates profit change, which is distributed among consumers in the form of reduced product prices, labor and other input suppliers in the form of increased remuneration, and owners of the business in the form of an increased return to the capital they provide. They also consider the impact of productivity change on alternative financial performance indicators, such as unit costs and return on assets. In Chapter 10 Garcia-Castro and colleagues consider the popular business strategy of replication, the practice of transplanting a successful business model to additional market segments, as a way of creating value. Although the strategy creates value, i.e., is profitable, whether it does so through productivity growth is debatable. They use Southwest Airlines in the US as an example, although fast food and coffee chains follow the same business strategy. In Chapter 11 Firfiray and colleagues focus on family firms, the most common type of ownership form in almost every country. They review the literature examining the relationship between family ownership and productivity, and they argue that pursuit of non-economic goals and priorities as influences on family firm decisions, and tends to enhance both productivity and financial performance. In Chapter 13 Cassiman and Golovko examine the relationships export and import activities of businesses and their innovative behavior, and link these activities to business productivity. They review the theoretical and empirical literature, and study a panel of Spanish manufacturing firms to test the links. Their evidence is roughly consistent with the literature, although they find that complementarity between product innovation and import activity generates increased productivity. In Chapter 14 De Loecker and Van Biesebroeck explore the relationship between international competition and firm productivity. They argue that this relationship is obscured by market power, which leads to firm-level variation in prices. This in turn complicates the derivation of output changes from revenue changes, which makes it difficult to estimate productivity changes. 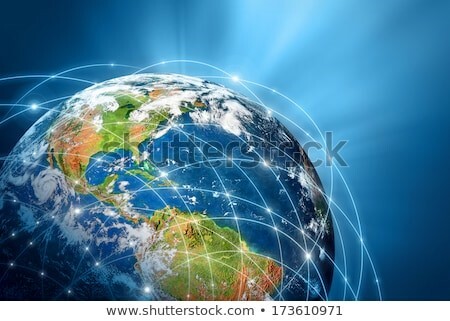 They then explore the complex relationship between increased international trade, perhaps brought on by tariff reductions, which in principle expands markets, and competition, which may be stifled by other means. In Chapter 15 Cherchye and colleagues examine the use of productive efficiency measures to assist in the identification of potential drivers of productivity changes in public utilities subject to incentive regulation. They explore the evolution of the use of efficiency measures in alternative regulatory frameworks that have been adopted through time and across countries. They emphasize the desirability of interaction among analyst, regulator and regulated utility. In Chapter 16 Agrell and Bogetoft conduct a closely related study to that of Cherchye and colleagues. They list prerequisites for successful regulatory benchmarking, detail the theory underlying incentive regulation, and discuss data issues and model specification. They conclude with a pair of empirical illustrations, one based on work commissioned by the Council for European Energy Regulators and the other based on work for the Norwegian Water Resources and Energy Directorate. Part IV contains eight macroeconomic studies. In Chapter 17 Lefebvre and colleagues examine the impact of productivity growth on the performance of the public sector, with performance interpreted in a broad welfare-oriented sense rather than a narrow output-oriented sense. After reviewing the literature in a range of public sectors, they turn to the performance of 28 EU countries, with performance measured on five dimensions of social protection. They find considerable dispersion in social protection performance, and a lack of convergence of laggards toward leaders. In Chapter 18 Bartelsman and Wolf complement the study of Lefebvre and colleagues. They discuss a range of economic, statistical and definitional issues related to the measurement of productivity dispersion, and they present a host of empirical evidence from Europe and the US. They conclude that estimated productivity dispersion is qualitatively similar across countries and sectors, and “large” in all cases. As we note above, this finding is disappointing because it suggests that reallocation of resources toward more productive opportunities has been impeded. In Chapter 19 Diewert and Fox undertake a decomposition analysis of growth in sectoral value added into explanatory factors. 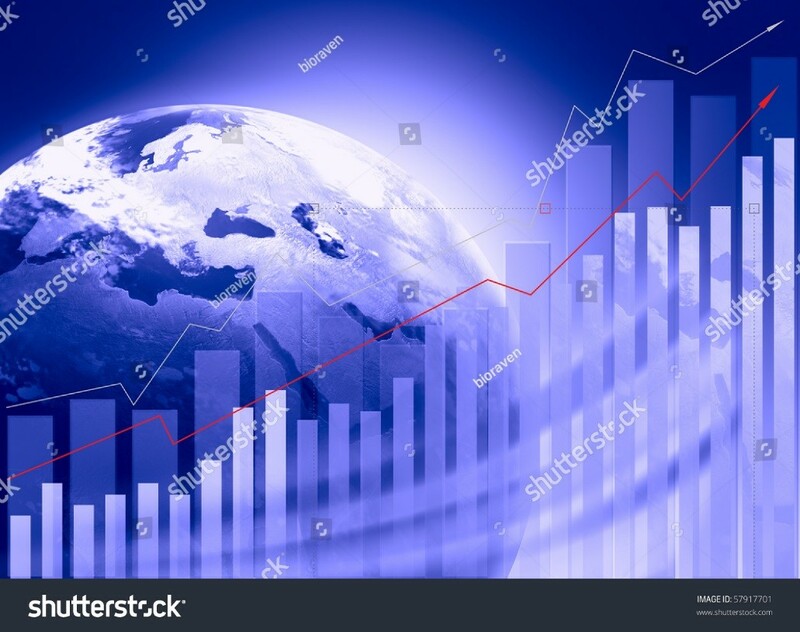 They provide the theory, which identifies six drivers of value added growth: efficiency change, technical change, output price changes, primary input quantity changes, variable input price changes, and exploitation of scale economies. They provide detailed empirical applications to the US corporate and non-corporate nonfinancial sectors. In Chapter 20 Jorgenson relates the history and the workings of the world KLEMS Initiative, the purpose of which is to provide industry-level data on outputs, inputs and productivity for an increasing number of countries. The value of the Initiative lies in its ability to facilitate international productivity comparisons, which facilitate search for policy-oriented sources of productivity gaps between countries. He provides a detailed empirical application to the productivity performance of Japan and the US. In Chapter 21 Timmer and Ye examine global value chains that yield such popular products as BMWs and the iPad. They review the conceptual, analytical and empirical issues arising for the measurement of productivity when production is internationally fragmented along a global value chain, making it a challenge to assign inputs and value added to particular companies or countries. They illustrate the underlying issues with an empirical application to German automobiles. In Chapter 22 Inklaar explores the industry sources of productivity growth and convergence. He begins by examining the industrial composition of the trans-Atlantic productivity growth gap, which, however measured, favors the US over the EU-15. He then turns to the industrial sources of productivity dispersion and convergence. He concludes with an exploration into the economic drivers of productivity growth and convergence, finding high-tech imports, R&D and foreign direct investment to have positive effects on productivity growth and convergence. In Chapter 23 Pyo investigates the impact of productivity change on the broad process of inclusive economic development. Inclusive development includes economic growth, but also trends in income and wealth inequality. Pyo surveys alternative analytical models of the linkage, and the empirical literature devoted to establishing the linkage. Among the important findings has been the critical role of institutions in fostering inclusive economic development. In Chapter 24 Badunenko and colleagues explore the productivity of nations over the past half century. They survey the salient theoretical and empirical literatures, and develop an analytical model of labor productivity growth, with special emphasis on the distinct roles of physical and human capital. They examine trends in productivity growth, and productivity convergence, across nations. Convergence has received considerable attention at the level of individual businesses, but rarely at the aggregate level of nations. The Handbook surveys virtually every aspect of the important phenomenon of productivity, from analytical models to empirical methods and empirical findings, from a narrow economic interpretation to its holistic social significance, and at various levels of aggregation, from family firms to nations. Importantly, each chapter provides a long list of references to the relevant literature for those wishing to conduct extensive research into a particular aspect of productivity.